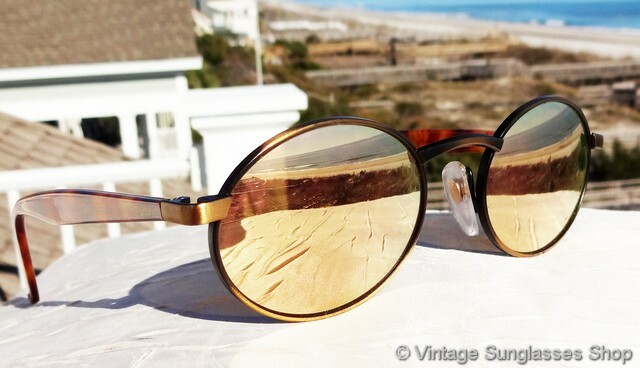 1 Vintage Revo 962 053 sunglasses are one of the rarest of all vintage Revo styles, featuring two of the most highly sought after variations of gold mirror lenses and tortoise shell ear stems. 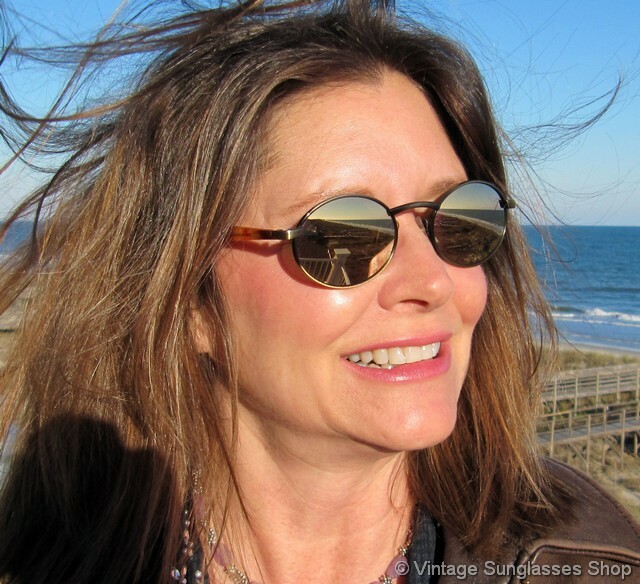 Revo used a brushed gold metal with black highlights in this design on the front of the frame to hold the lens, and the brushed gold perfectly reflects and complements the highly reflective oval gold mirror lenses of the 962 sunglasses design. Once you're around the corner of the temple, the tortoise shell also picks up hues of orange the similarly complement the gold mirrored lens to make this one of the best designs Revo ever produced. 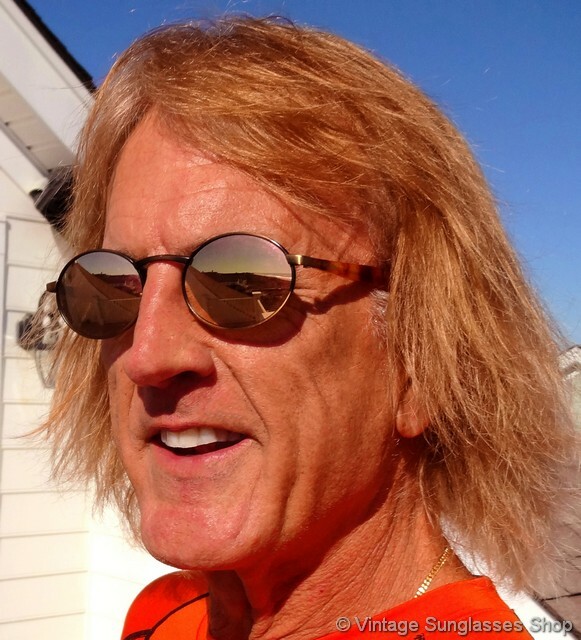 The gold mirror lens is highly reflective, great for sunlight and UV protection without the downside of polarization (polarization has its positives too- read about the tradeoffs on our polarized versus non-polarized sunglasses information page). Best of all, the gold mirror lens looks super cool. 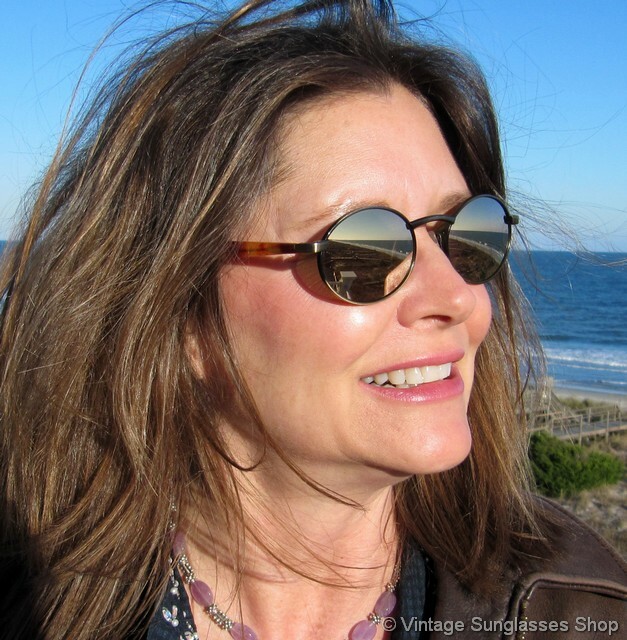 These are perfect as men's or women's sunglasses, with frame measuring approximately 5.0" temple to temple and lenses measuring 1.875" x 1.75" at the widest points. The Revo logo is embossed on the exterior of both tortoise shell ear stems near the hinge points, and the inside of the ear stem is marked CE 962 053 (some production of this style was also marked 962 001) Frame Japan. Rare. 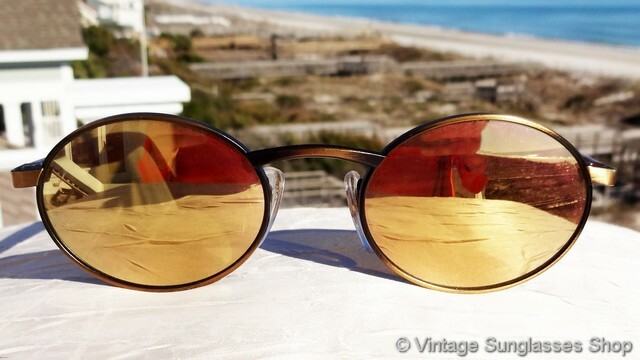 2 Step up another level beyond our already unequaled vintage condition standards with new old stock Revo 962 053 gold mirror sunglasses in mint, unworn condition.